Do you feel a chill of foreboding? Or was that just a passing ghost? It's been a while since Robert did any updates. I'm kinda done waiting, so I've started my own recreation. I plan on doing the whole amusement district of the Boardwalk. The Pier has been easy thus far. I have been lucky with fitting a number of rides into that crammed space. 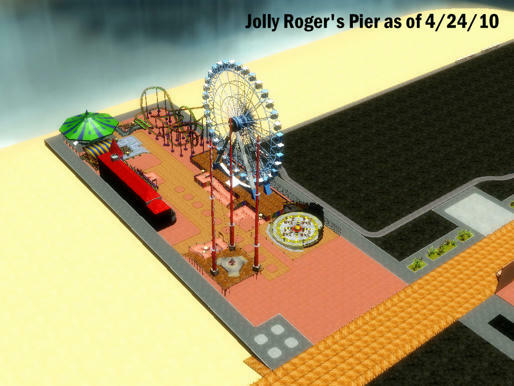 I still have to add some finishing touches to the pier itself, and the rides, along with the massive Ripley's Building. 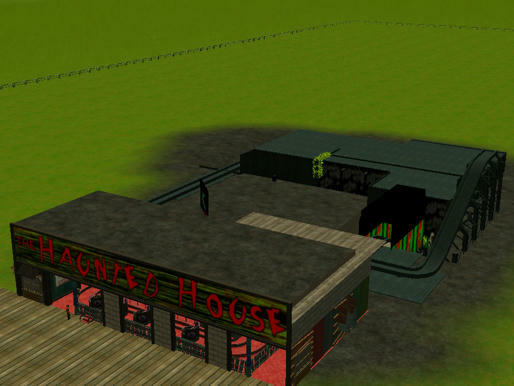 I'm slowly working on this and the area around the Haunted House. I have the Wacky Worm area and the Zipper Area Rides already in place. They still need fine tuning though. And I'm going to add the Sportland Arcade, Marty's Playland, and Dough Roller in sooner or latter. 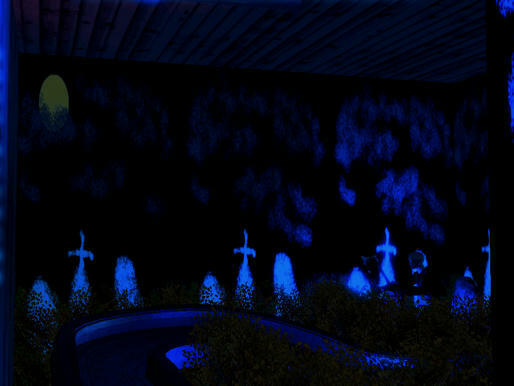 The Morbid Manor didn't take long, and nothing is inside yet. Overall, looks pretty neat, doesn't it? I even have those trams that ride down the Boardwalk! What do you think so far? Awesome job on the Haunted House! 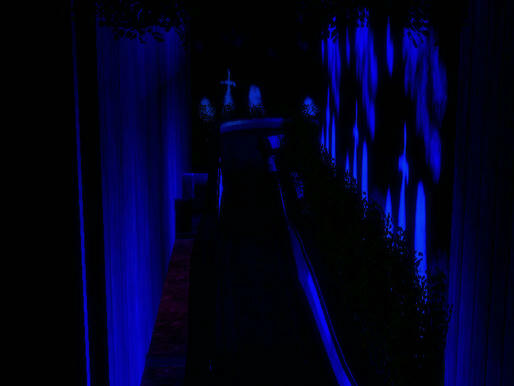 My haunted attraction for 2012 is called RavenCroft (at Cobham Manor). Hit me up on YouTube at my channel, evilportrait! Yours looks even better than mine! I haven't worked on mine in awhile. I'm also working on a Dorney Park recreation and an old Wildwood, NJ recreation circa 1980 when most of the dark rides/haunted attractions were there. I'm doing lots of research for the Wildwood recreation. Are you going to offer your OC MD park for download when you finish it? The Haunted House really looks creepy inside! Looks just like day-glo! I didn't get very far with mine, except the track layout, facade, and a few stunts. Thanks. ;D I'm not sure about the whole download thing yet. But it might be a possibility. Let's wait and see if I finish it in a decent manner. I have some work done on Pirates and The Mirror Maze I'm going to have to post soon. I just saw Phantom of the Opera and had some other stuff to do that kept me from snapping a few screen captures. Pirates is coming along fairly well. There isn't anything in there at the moment. It's not even the right layout probably. 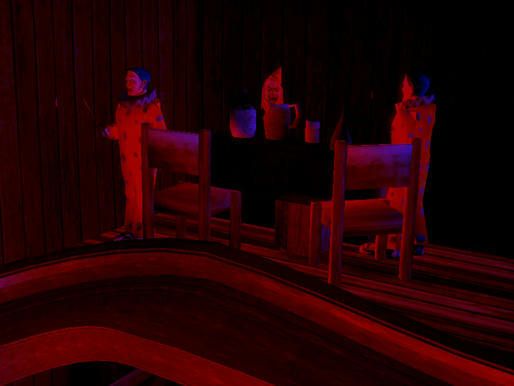 But it's Morbid Manor 3D; so who cares? The HH is coming along nicely though. Mike, amazing job! 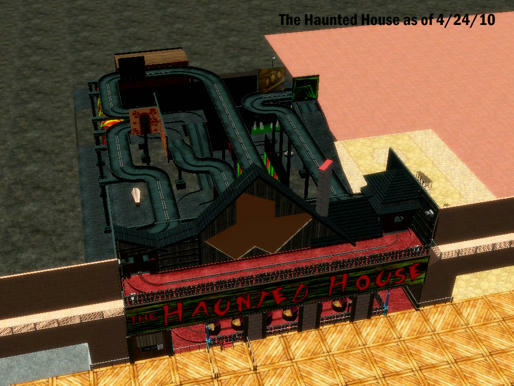 I attempted this a while back when I liked to make dark rides in rct3. I never finished it but oh well. 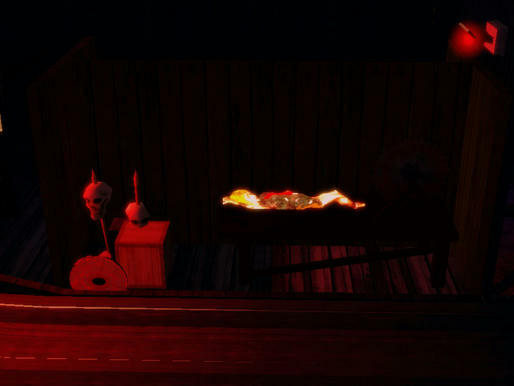 If you want I have some backdrops I used for my haunted house that you could use in yours(some gost ship walls ect..). also you are right when you say morbid manor's layot is wrong. in 2009 some employe left the lights on and I got to see the layout . There are too many conections so I can't vote but I say Ghost Pirate! Also, do you remember the Candy Land funhouse? I don't know how to change this!!!!!!!!!!!!!!!! I remember Candy Land. It was one of my favorite funhouses when I was a kid! 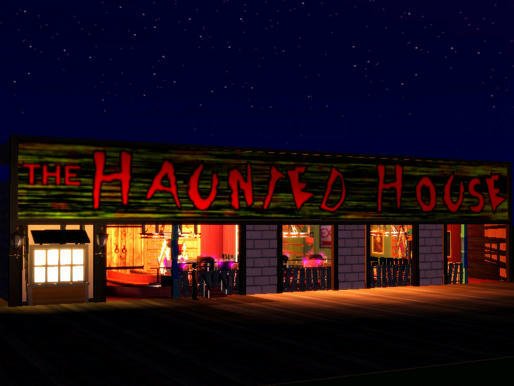 Don't forget to vote on which Haunted Attraction you want on the pier! Pirates Cove is coming along well, and the inside is nearly done. I'm adding the Toboggan back into the park. The Ripley's Building is coming along now too. Hopefully, I can get more pictures up soon. MTTB you do realize I created a Bill Tracy set 1 and 2 that has some good pieces that could come in handy. Yeah I know. I've been using them where they fit. Which pier should I go with? It's Rockin' Rapids! I added that, and The Ghost. What do you think? Dude did you learn how to make custom content with the Looping star supports? 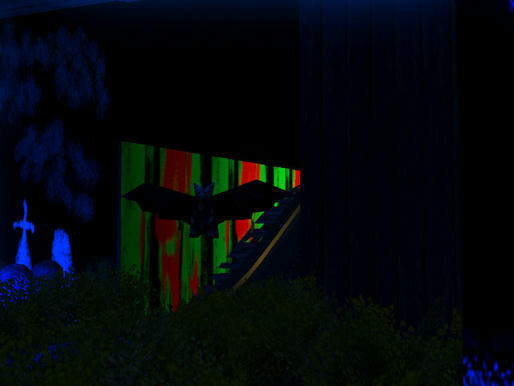 But anyway the darkride looks uber big, but I guess thats just to get more detail out of it. Nah. That's just a combination of Vohdin's Steel Girders and The Mouseworxs Set. The Ghost isn't as wide as it should be, but it's looking nice now. Another Small Update: Goin'Wild Gift Shop. I know it was burn to a crisp in September, but I always thought the interior was cool looking, so I added it. The ferris wheel looks the same size as Morey's Pier Giant wheel. Here are some more pictures of the work in progress of the mirror I think I'm sticking with. 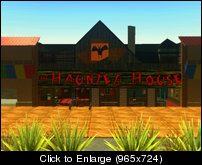 Still in Progress versions of Pirates Cove, Aladin, and The Haunted House. Notice the zoom in on the lobby. See the Count. The may rides still being fine tuned, including the bumper boats, and the Matterhorn. You did a good job with the tobbagon! Thanks. That's Dazmaze's Eurofighter coaster I'm using, I tried my hand with the custom track ride creator mixing the parts myself to use the alpine coaster car, but it didn't work out right. It will have to do as is. Pirate's Cove is starting to take shape; so are the Boardwalk buildings themselfs. The HH has much still to do inside, but I have a bit done. What do you think?